Traveling the past six weekends have made weekly menu planning and shopping tough so I have been opting for easy recipes when I do have time to cook. This past weekend, I was finally in DC for a whole weekend! 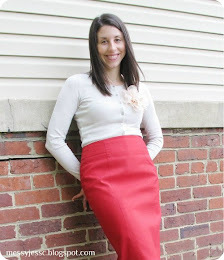 I stuffed as much into the weekend as possible too - lots of errands, running, and cooking. I still opted for easy recipes, but it was so I could make lots of food, including two new recipes. 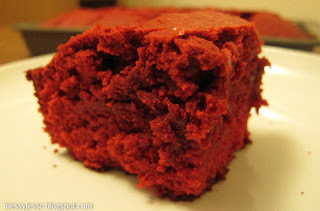 I am excited to share these recipes with you today - Crock Pot Santa Fe Chicken and Red Velvet Brownies. Lately I have been loving our crock pot. It still floors me that tossing a few recipes together in an appliance containing a dial with just a few settings - low, high, warm, and off - can make such delicious meals. It also cuts down big-time on prep work. 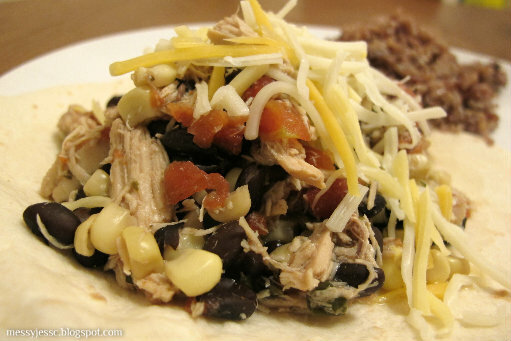 I found today's recipe for Crock Pot Santa Fe Chicken on Iowa Girl Eats blog. 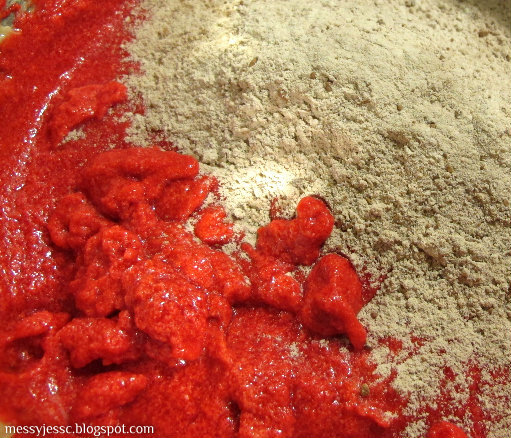 I love all of Kristin's recipes (and other blog entries for that matter). Most of them are easy to follow and a lot take no time at all to prepare. Today's Crock Pot Santa Fe Chicken was no exception. It took about 5 minutes to prep and then with the twist of the dial I was on my way to a yummy meal. First I combined a can of chicken broth, a can of diced tomatoes with green chilies, a can of black beans, a cup of frozen corn, three sliced green onions, one teaspoon each of cumin, dried cilantro, garlic powder, onion powder, 3/4 teaspoon of cayenne pepper, and salt to taste in the crock pot. 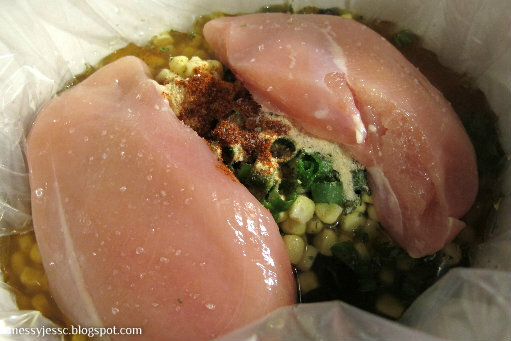 Next I salted the chicken breasts and placed them on top of the crock pot mixture. Once the meal was cooked, I removed the chicken breasts from the crock pot and shredded them with a fork. Then I returned them to the crock pot to stir and combine them with the other ingredients. Then you eat. We ate our Santa Fe Chicken with some cheese, flour tortillas, and brown rice. But you could eat it out of taco shells or on top of nachos. 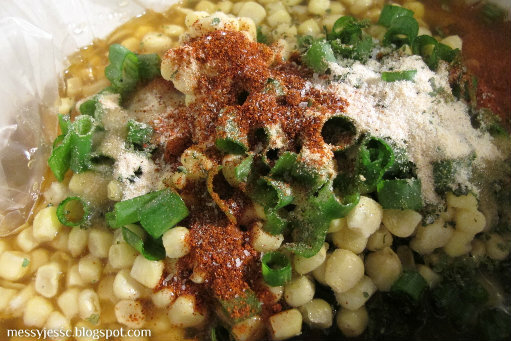 You can also top with more green onions, sour cream, cheese, and fresh cilantro. Yummy! 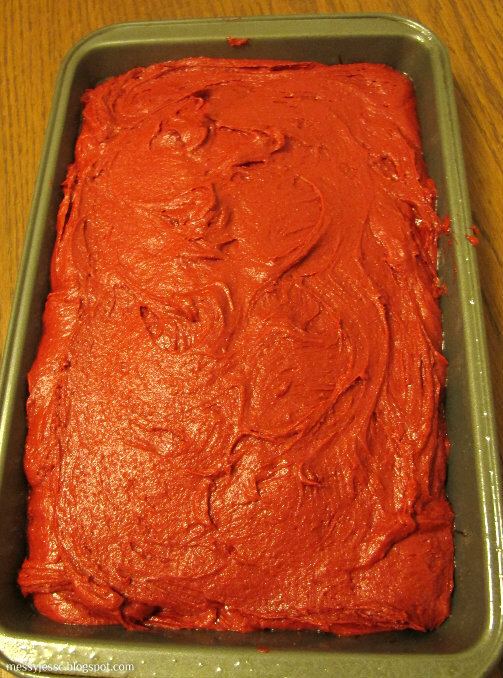 Of course, you can't forget dessert and what goes better with Crock Pot Santa Fe Chicken than Red Velvet Brownies? I have been wanting to test out this recipe for Red Velvet Brownies for a while and I am so happy I did. 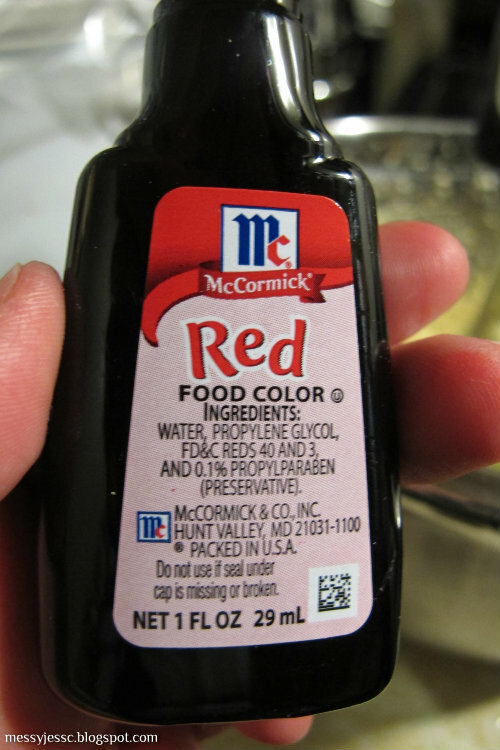 They taste great and they were fairly painless to make, if you don't count the dying fingers red from food dye part. 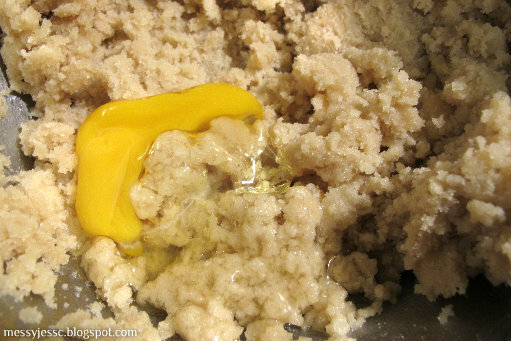 First, preheat the oven to 350 degrees F and butter and flour a 9x13 baking pan. 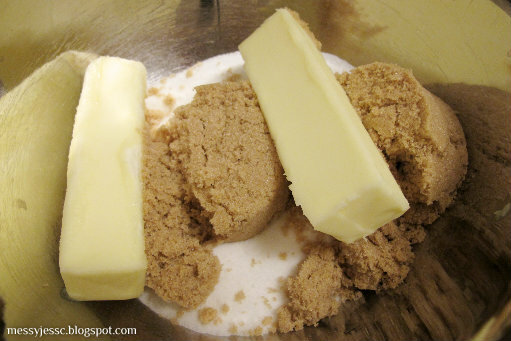 Next, beat together the butter and sugar until light and fluffy. 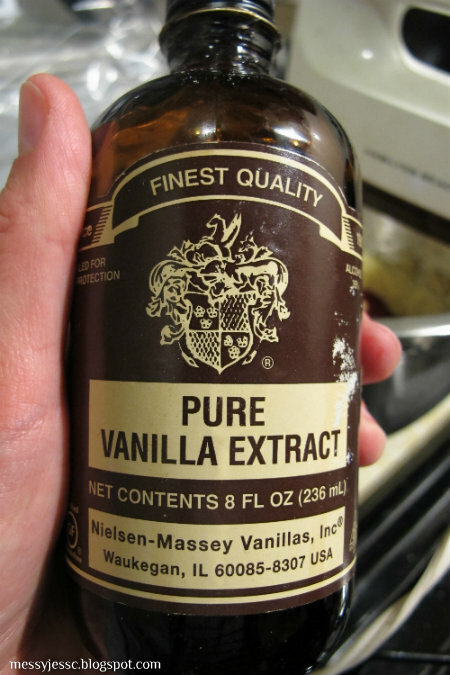 Next stir in the food coloring and vanilla. 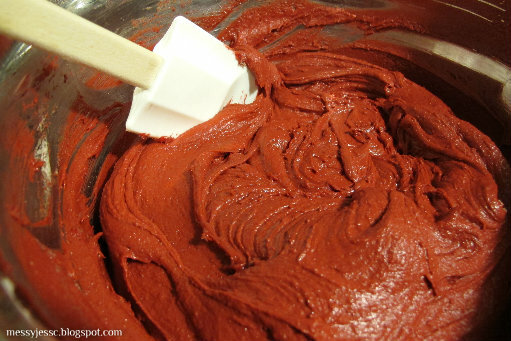 Slowly add flour mixture into the red batter until combined. 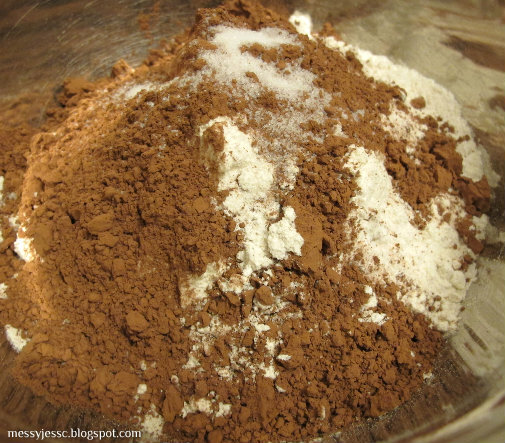 Pour the better into the prepared pan and bake for 30-40 minutes, or until a toothpick (or if you are me and out of toothpicks, a shish kabob skewer) comes out clean when inserted into the center of the brownies. Set aside to cool and then cut into bars and serve. Find these and other recipes I have made on my What's Cookin' page.